Being the neighbor of famous actress Gwyneth Paltrow might not be a lot of fun. At least this is what the latest rumors have been claiming. According to these rumors, the popular actress is actually seen as an enemy by her neighbors because of her intentions to do some renovation work. So, it has been claimed that Gwyneth plans on building a 14,000-square foot mansion in the area of Montecito, California. And this decision has “created an uproar with neighbors on all three sides.” The main reason why the neighbors don’t agree with her construction plan is linked to the fact that such a building would block the neighbors’ views. And it seems that they are determined to stop the actress from completing the planned construction. “She’s created an uproar with neighbors on all three sides,” a spokesman for one of the neighbors said. The same spokesman claimed that all the neighbors think that the construction would be too big and too tall. Furthermore, the construction would be incompatible with the rest of the houses in the area, Page Six reported. The same spokesman said that the neighbors tried to talk to the star and reason with her, but they achieved no conclusion and Gwyneth is set to continue with her building plans. Allegedly, the property’s construction has already been approved by the Montecito Board of Architectural Review, but only after the actress’s architect claimed that the house has been lowered 8 feet. Andrew Rice claimed that despite these statements, the house was lowered only 1 foot, so the actress has broken this requirement and the project is moving forward. This is not the first time when Gwyneth has been dealing with some problems because of what she wants to build in or add to her home. The same happened with her Brentwood property, when neighbors filed a complaint against the star for erecting an oversize 9-foot gate in the area. Locals accused the star of not carrying about their concerns and continuing with her construction plans. Famous actor James Cromwell has been sentenced to jail because the star refused to pay an environmental protest fine. The protest that the famous actor attended dates back to 2015. At that time, because of his attendance at the protest, the star was charged with obstructing traffic. However, it seems that he refused to pay the fine he received following the event, so James was sentenced to jail. James Cromwell is well-known for his numerous acting roles. The star is also going to be featured in the upcoming Jurassic World movie, Fallen Kingdom. 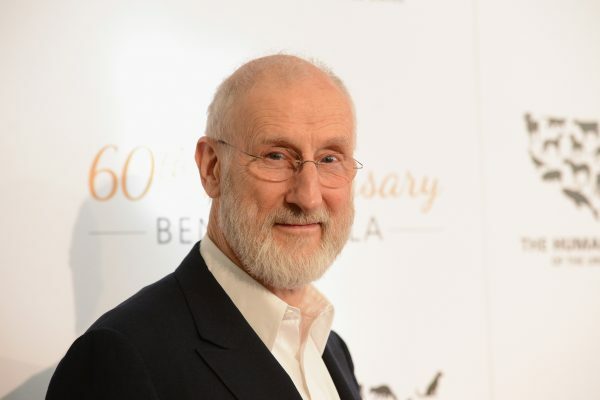 So, according to the court ruling, James Cromwell will be spending a week in jail for a fine of only $375. But, the actor refused to pay it. As already mentioned, the fine is linked to a case dating back to 2015. The actor attended a power plant protest in Wawayanda, New York. He received the fine for obstructing traffic because the actor and some other protestors held a sit-in at a Competitive Power Ventures natural gas plant. The actor, along with five other people, caused a traffic jam because of their protest, so they were charged with obstructing the traffic. The actor and the five other people involved attended a court hearing in April and claimed that their actions were justified because the power plant’s emissions would cause an irreversible damage to the environment. Reportedly, they believed that since their protest was justified, there should be no fine for them. However, three of the six protesters finally decided to pay the fine. This means that James Cromwell and two other people did not pay and were sentenced to jail. 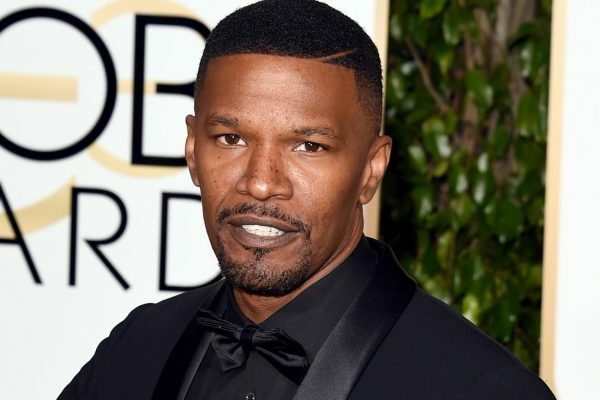 The famous actor is set to serve seven days in Orange County jail later this month, but it is yet to see when this will be taking place. Cromwell has made no official statements linked to this sentencing, so it is yet to find out what the famous actor has to say. However, it is important to mention that Cromwell is a well-known environmental and animal rights activist, so this is not the first time when he attended such a protest. Kris Jenner seems to be dating someone new. According to the latest rumors, the famous Keeping Up with the Kardashians star could be dating David Foster. The rumors emerged after the two were spotted together at a dinner date. Allegedly, Kris has been single in the past few weeks, as rumors claimed that she and her longtime boyfriend, Corey Gamble, ended their romance. The new report was shared by Page Six, which claimed that Kris and David were spotted together as they were enjoying an intimate dinner date in Los Angeles. The two were spotted at Craig’s Restaurant. Some sources claimed that Kris and David were spotted “holding hands” and they seemed to be quite close. The source told Page Six that Kris “kissed Foster on the cheek.” Allegedly, Kris and David have been friends for several years, although they were not seen together too much. Furthermore, Kris and David have something in common. They were both the stepparents of Brody and Brandon Jenner. So, Linda Thompson, Brody and Brandon’s mother, was married to David after she and Bruce Jenner divorced. Bruce, now Caitlyn Jenner, was of course married to Kris. So, both Kris and David seemed to be having a great time, as they were seen smiling when they left together the restaurant. And it actually appeared that Kris was not trying at all to hide from the cameras, as the star was smiling and didn’t mind being photographed. As imagined, Corey Gamble was not there at this dinner. So, there is no wonder after all that it has been claimed that the two stars are dealing with some problems. Prince Harry decided to talk about the monarchy during a new interview. The prince opened up about his thoughts on monarchy during an interview with Newsweek. The star claimed that the monarchy is a force for good, but still he believes that no one in the royal family is very eager to take on the role of a King or Queen. 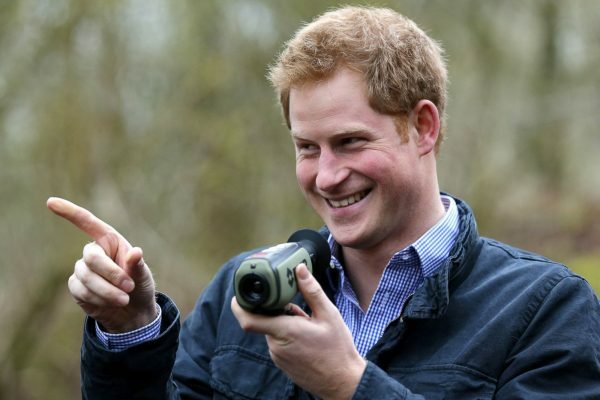 Harry claimed that the whole family cares about the country and the people, but no one wants to become king or queen. This also includes Harry’s brother and his sister-in-law, Prince William and Kate Middleton. Harry revealed that he doesn’t want the throne, but the prince said that this does not mean that he will not complete all his duties as a prince. “We are involved in modernizing the British monarchy. We are not doing this for ourselves but for the greater good of the people,” Prince Harry said. “Is there any one of the royal family who wants to be king or queen? I don’t think so, but we will carry out our duties at the right time.” The prince also claimed that people still need monarchy and they need the royal family. “The monarchy is a force for good,” Harry said. “We want to carry on the positive atmosphere that the queen has achieved for over 60 years, but we won’t be trying to fill her boots,” he explained. It seems that there is a reasoning behind these intentions to modernize the monarchy. Harry actually revealed a very emotional moment from his life, linked to the funeral of his mother, Princess Diana, in 1997. At that time, Harry was only 13 years old. “My mother had just died, and I had to walk a long way behind her coffin, surrounded by thousands of people watching me while millions more did on television,” Harry said during his new interview. “I don’t think any child should be asked to do that, under any circumstances. I don’t think it would happen today,” he added. Although there are no official comments from Kim Kardashian or Kanye West on this subject, the rumors linked to their marriage are still continuing. So, for quite some time now it has been claimed that Kim and Kanye are dealing with some serious marriage issues and plan on separating. Some rumors said that it all started when Kanye dealt with some health issues last year and required hospitalization. Ever since, it has been said that the two stars were trying really hard to make things work in their marriage. The latest reports claimed that Kim and Kanye have been attending marriage counseling, as they have decided to seek professional help to save their marriage. Life & Style reported that the two stars have been under a six-week trial separation earlier this year. A source talking to the celebrity site allegedly said that both Kim and Kanye have thought about divorce. “Their therapist comes to their home and talks with them,” the source claimed. “They were considering divorce, but decided to try to work it out. It’s been an uphill battle, but they’ve come a long way,” the same insider explained. The insider claimed that the discussion of whether to have another child or not has also been a reason of fight in this marriage. So, the source said that Kanye doesn’t want another child, but Kim insists in finding a surrogate to carry their third baby. The claims were not confirmed or denied by Kim and Kanye, so it is yet to see if the report is really true. Mariah Carey has been linked to a lot of rumors in the past few years when it comes to her personal life. 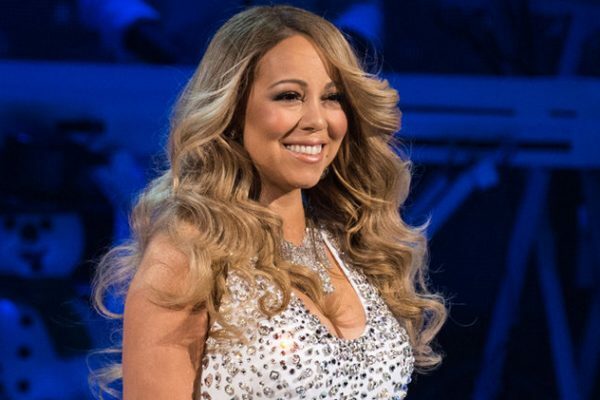 Since her divorce from husband Nick Cannon, a series of rumors talked about Mariah’s dating. Soon after her divorce, the famous singer was linked to casino mogul James Packer. She was even engaged to James, but the relationship ended and the wedding plans were off. Then, Mariah was linked to her back-up dancer Bryan Tanaka. Some rumors claimed that Tanaka was actually the reason why Mariah ended her relationship with James. Other reports said that she was actually planning on getting back together with her former husband. Now, it seems that the famous singer has been linked to a new man. The latest rumors say that Mariah could now be dating no one else than famous singer Drake. It has been reported that Drake and Mariah have been in communication and they also want to get together, meaning that the famous singer might be ready to completely end her relationship with Bryan Tanaka. The news was first reported by OK, which claimed that it talked to an insider who revealed that Drake and Mariah are interested in each other. “Mariah Carey and Drake are in secret contact with rumors whirling the two are secretly dating,” the source explained “Mariah’s been texting Drake, who is a little surprised by the sudden attention, but was more than ready to show her a good time,” the same insider went on to add. The source claimed that Drake and Mariah have recently met up and the two were quite flirty. “The two met up for drinks two weeks ago in LA and friends say they were flirting up a storm,” the source explained. “While they didn’t leave together, the two have been definitely texting and calling each other since,” it concluded. The source also said that Mariah would be interested in Drake also because he dated Jennifer Lopez and “Mariah loves the idea of getting one up on her long-time rival Jennifer Lopez.” Well, at the moment there is no confirmation on these rumors and no official comments from those involved. Things seem to be going great and to be evolving fast when it comes to Taylor Swift’s newest relationship. 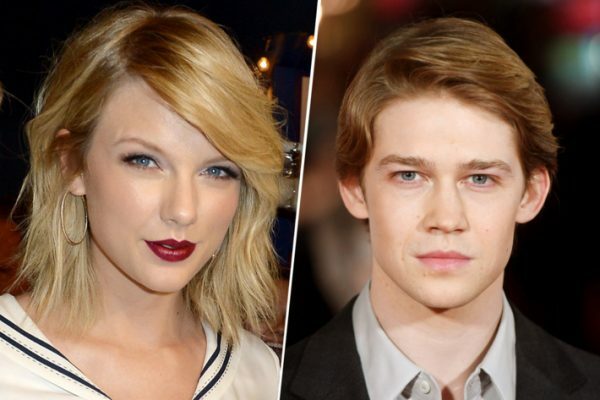 Reportedly, the famous singer has been dating actor Joe Alwyn and the relationship is going great. Now, it seems that not only Taylor is happy with Joe, but actually her family approves of her new relationship. A new report has claimed that Taylor has already introduced Joe to her family, which actually loves him. Hollywood Life reported that the famous singer introduced Joe to the family in Nashville and Taylor’s mother approved the relationship because she believes that the actor is “a real gentleman.” The report indicated that Taylor and Joe spent a weekend together in Nashville. “[Taylor] took Joe to her mom’s house this weekend in Tennessee and her mom already loves Joe,” a source said according to the celebrity site. “After a mellow weekend in Nashville, Taylor and Joe hopped back on her jet on Monday, for the 3rd time in about 5 days, and are continuing their romantic vacation elsewhere,” the same source added. The insider claimed that Taylor’s mom likes Joe because he is such a nice man. “Taylor‘s mom is super sweet, loving and supportive of her daughter so it was easy for her to like Joe who she thinks is a real gentlemen. She totally approves of their relationship,” the source claimed. “Taylor kept things cozy, intimate and private all weekend. Taylor and Joe enjoyed the low-key weekend with family in Nashville,” the insider also said about the time the two stars spent together over the weekend. Prince William and his wife, Kate Middleton, have definitely been in the media attention ever since they announced their relationship. The prince and his beautiful wife have always been very private about their personal life, but it seems that they want more. However, that may not be possible for the moment, considering that William has to stay at the Kensington Palace, giving his duties. Well, the fact that William and Kate don’t want their children to grow up behind palace walls has previously been revealed by William himself, who talked about family during an interview with British GQ. “I could not do my job without the stability of the family,” Prince William said. “Stability at home is so important to me. I want to bring up my children in a happy, stable, secure world and that is so important to both of us as parents,” he added. “I want George to grow up in a real, living environment, I don’t want him growing up behind palace walls, he has to be out there. The media make it harder but I will fight for them to have a normal life,” William concluded. The separation of Brad Pitt and Angelina Jolie was definitely not expected. Furthermore, given that the two were a high profile Hollywood couple, most likely rumors associated to this divorce will continue for quite some time. Since the split, Brad has been getting a lot of attention, being claimed that the famous actor was having a hard time dealing with the divorce. 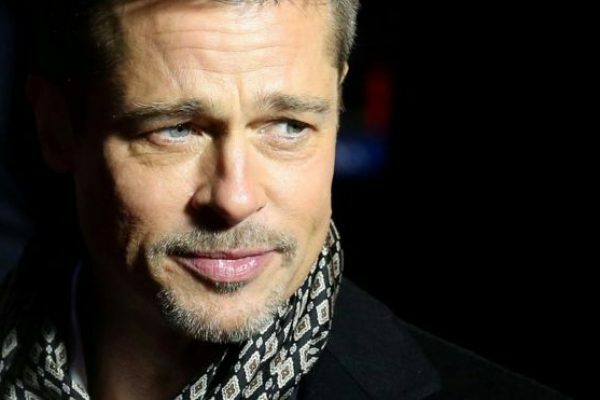 Immediately after the divorce was publicly announced, it was revealed that Brad was investigated by US authorities on allegations of child abuse linked to an alleged incident happening during an international flight on the couple’s private plane. The actor was soon cleared of the allegations, but Brad was linked to new rumors claiming that he was dealing with some health problems because of a dramatic weight loss. Brad then confessed during an interview that he changed his lifestyle, looking for a healthier approach in his life. Now, it seems that the famous actor is also ready to completely forget about Angelina. According to a new rumor, Brad will be removing his Angelina Jolie tattoos, all because he wants to have a fresh start. “He’s making appointments to remove the tattoos he got for Angie,” a source explained. “He’s ready for a fresh start and wants that reflected on his skin. It’s going to take at least a year to get rid of them, and they’ll leave scars,” the same insider added. Most likely, if the report turns out being true, Brad will remove his stomach tattoo, featuring Angelina’s birthday. Brad and Angelina also have some matching tattoos taken at a Thai monk and which were meant to bind them.